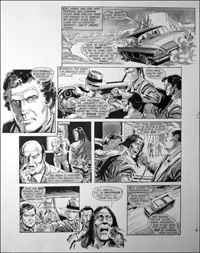 This is the original Watercolour painting by Jim Baikie. An original page of art from Look In #1. This features the comic strip version of the TV series The Fall Guy starring Lee Majors.